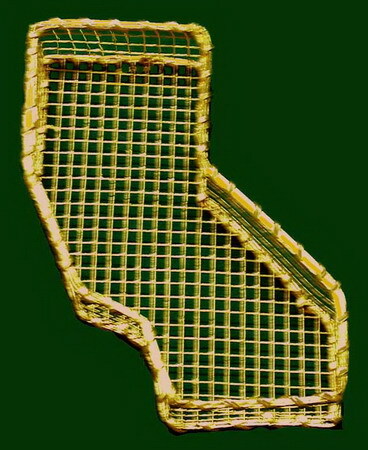 This California shaped basket is made of wire. It measures 7.5" North to South, 3" East to West, 1.25" deep. It is available in all metallic colors. The sample is finished in Gold. This item is also available in willow, large enough to hold a Wine Bottle. Please click item 585CA to view it.